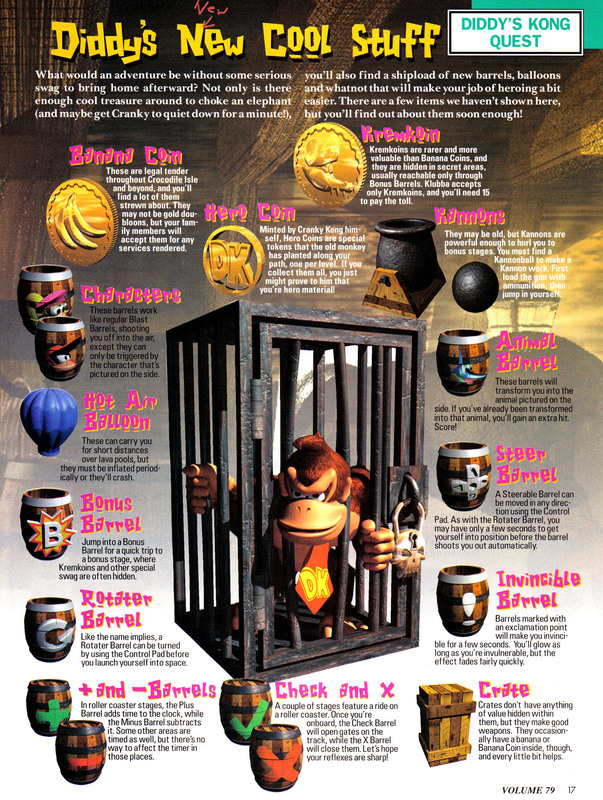 Plus and Minus Barrels (also called + and - Barrels in an issue of Nintendo Power) are types of barrels that only appear in Donkey Kong Country 2: Diddy's Kong Quest during the level, Haunted Hall. A Plus Barrel has a green plus sign on it while a Minus Barrel has a red minus sign on it. 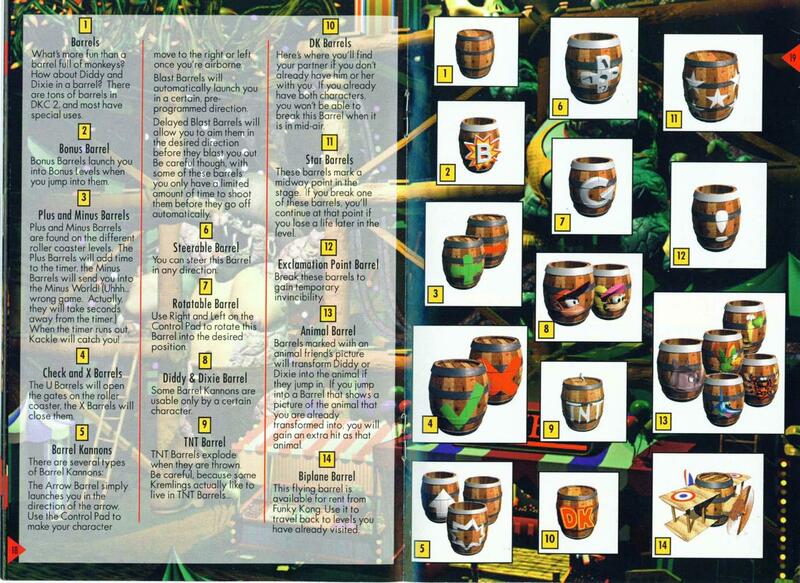 They are similar to Stop and Go Barrels from Donkey Kong Country mainly because they are both used to temporarily prevent an invincible enemy from attacking the Kongs. Throughout the level, there are Plus and Minus Barrels appearing in mid-air and on the track rails. Diddy and Dixie Kong must hit into the Plus Barrels to increment the on-screen timer, but must avoid Minus Barrels which do the opposite, decrease the on-screen timer. If the timer reaches zero, the Kackle attacks the Kongs. Minus Barrels are more frequent in later ports of the level. In an earlier level, Rickety Race, a Plus Barrel appears at the start, hidden beneath a wooden platform. This Plus Barrel has a different functionality; when the Kongs jump into the first Skull Cart, it rides backward into the Plus Barrel, which speeds up the Skull Cart to ride on the remaining track segment. Similarly, another Plus Barrel also appears in Haunted Hall's first Bonus Area, and it causes the Skull Cart to travel backwards at a high speed. 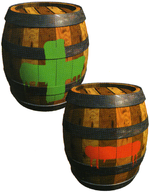 The Plus and Minus Barrels do not reappear in Donkey Kong Land 2, but an unused sprite of a Minus Barrel is hidden within the game's files. There is not one of the Plus Barrel. The Donkey Kong Country 2: Diddy's Kong Quest Instruction Booklet has Cranky Kong jokingly state that the Minus Barrel can send the Kongs to the Minus World, then he realizes he was talking about the wrong game. This page was last edited on April 21, 2019, at 10:54.